He said the results were signed by him and the two agents to the petitioners and the agent of Senator Melaye. When the exercise was finally held on Saturday, it was characterised by low turnout with some verification centres quiet hours later. By the time the verification ended by 2 pm and collation of results started talks of its failure had started spreading. Although the exercise was largely peaceful, there was violence in Mopa Amuro towards the end of the exercise. Six polling units were reportedly affected. As a result, the exercise in six out of the 10 wards in the LGA were cancelled. Consequently, the LGA had the least number of verified signatories with 710 as against the 9,173 signatories that signed the petition. The low turnout for the exercise was most evident in Lokoja, which had the highest number of signatories on the recall petition – 66,266. Out of that number, only 4,810 people showed up for the verification with 3,763 verified. Had the verification exercise been successful, INEC would have proceeded with the recall process by holding a referendum. Unlike the verification exercise which is limited to signatories of the petition, a referendum is open to all registered voters in the constituency. A referendum is considered successful when more than 50 percent of registered voters in the constituency vote yes in support of the recall petition. Talks about recalling the vocal Senator had started as far back as May last year. By June 11, 2017, the talks met some action with the commencement of the collation of signatures. Ten days later, the recall attempt gained momentum with the submission of the recall petition. Melaye was unperturbed, describing the move as a “comedy of errors” which he claimed was sponsored by the Kogi State governor who he was at loggerheads with over the governance of the state. But when INEC served him the recall notice, the Senator turned to the courts for protection, starting a legal battle which held the recall process back for months. It wasn’t until March 16, 2018, that the Appeal Court paved the way for the verification exercise by rejecting Senator Melaye’s claims. On that day, a trio of appeal court judges, led by Justice Tunde Awotoye, dismissed the appeal filed by Melaye against the judgment delivered by Justice Nnamdi Dimgba at the Federal High Court in 2017, on grounds that there was no cause of action. He had held that senator Melaye’s complaints were ‘hasty, premature and presumptuous” and therefore ordered INEC to go ahead with its planned verification exercise. Unsatisfied with Justice Dimgba’s judgement, Malaye had proceeded to the Appeal Court two days later, arguing that the Federal High Court judge “erred in law” when he validated the petition presented to INEC for his recall. 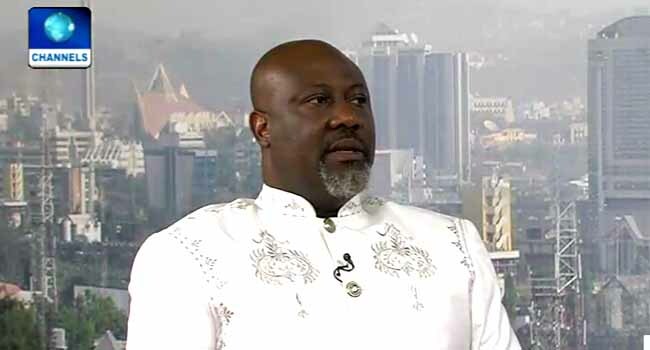 The Appeal Court disagreed and held that the Federal High Court ought not to have entertained Melaye’s suit ab initio. Just as he did with previous unfavourable judgments, Senator Melaye rejected the appeal court ruling and proceeded to the Supreme Court. With the failure of the verification exercise, and, by extension, the recall attempt, it is unclear whether Senator Melaye will pursue his case at the Supreme Court or abandon it.